Today's dynamic digital landscape requires you to make changes in a snap to keep up. Or you may simply want a design tweak without relying on a vendor. With RebelMouse, enjoy ultimate site control at your fingertips. 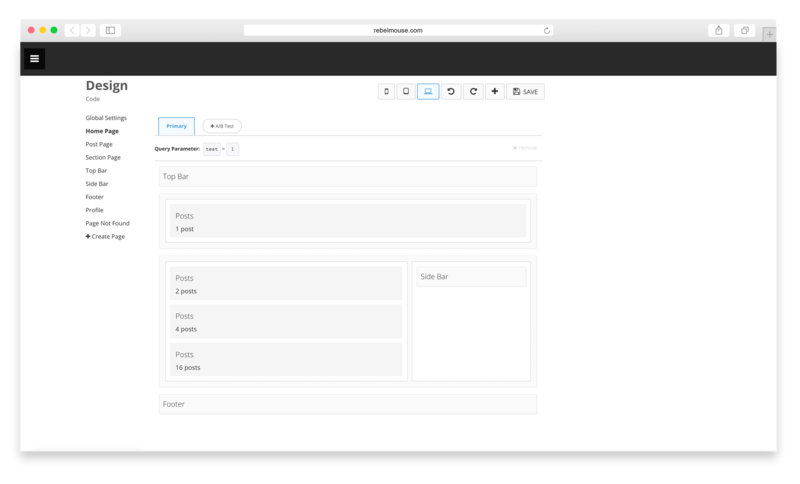 Our Layout & Design tool enables you to customize, optimize, and flexibly manage any element of your site. The best part? No matter how you wield the Layout & Design tool, your site will be set up to look beautiful and perform optimally across devices, screen sizes, and platforms. 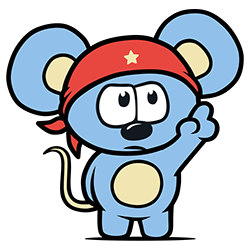 Quickly launch a site using the default RebelMouse site template or completely customize to your liking with advanced HTML / CSS tools and flexible JS control. The Layout & Design tool is set up in grid-patterned rows and columns so you can confidently tweak templates to reflect your needs and perform across devices. A/B test any page or zone configuration on your site: Home pages, section pages, static pages, headers, footers, or side bars. Manage your site’s design visually or by code -- perfect for design perfectionists or tech experts on your cross-functional team. Ready to give our DCMS a test drive?